First Buddy Divers offers different kinds of scuba and diving trips, and can organize almost everything you need during your vacation in Thailand. Please ask for different packages, including diving trips. Please take a look! Are you dreaming about scuba diving in paradise? 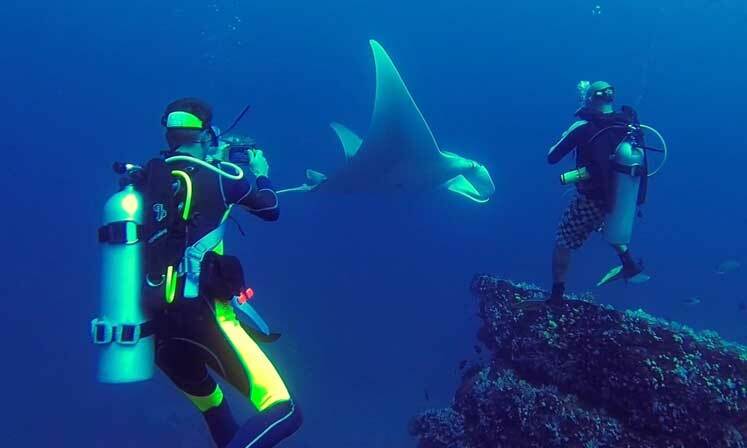 Do you want to explore the unforgettable underwater world? You have come to the right place, we will create your dream holiday. We are First Buddy Divers and we cater to every level of diver, from beginners through to the diving veteran and technical divers. Whether you are interested in continuing your diving education or just want to fun dive we provide our guests a unique experience with our professional SSI and TDI instructors and Divemasters. In addition to all things diving, we can cater to all of you holiday needs from accommodation and airport transfers, to snorkelling and fishing trips as well as guided tours on dry land to see all the amazing sites the islands have to offer. Please check out our Facebook pages : First Buddy Divers and send us a message if you are interested in our services!